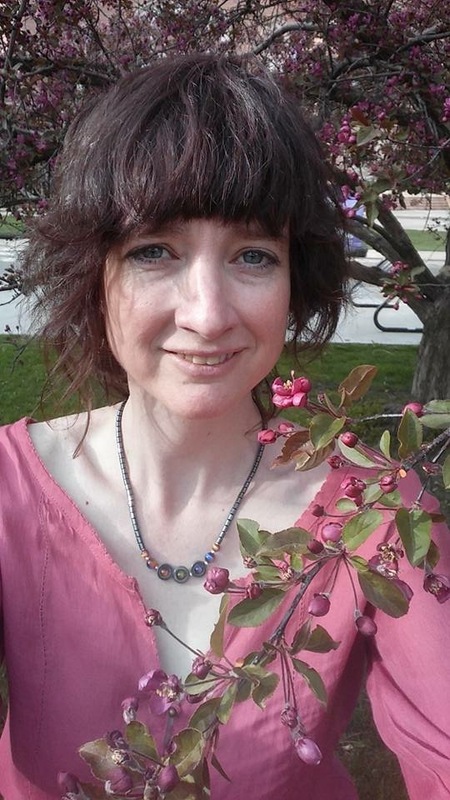 Zero Carb Interview: Amber O’Hearn | Eat Meat. Drink Water. I’ve been eating an essentially plant-free diet for almost 7 years, starting in November of 2009. My original reason for trying a meat-only diet was for fat loss. I was at my wit’s end, because my very low carb, but plant heavy diet, even though it had helped me get to into great shape in the past, wasn’t as effective anymore and I was slowly getting fatter and fatter. It’s funny. It took me way longer to adapt to the diet mentally than physically. I spent three weeks planning and giving myself pep talks, and even then, I only felt able to commit to it with the promise to myself that it was going to be of very limited duration. Once I started, though, I felt comfortable within a mere few days. The only guidance I had toward this diet at that time was the Zero Carb forum run primarily by Charles Washington, and the inspiring stories there. I also had read Owsley Stanley’s (aka The Bear) essays on the subject. I eat mostly just meat, but I will eat occasional eggs and dairy. I find that dairy increases my appetite significantly and I have an addiction-like response to fermented dairy in particular, so I’m wary of that. 6. What percentage of your diet is beef versus other types of meats? I eat from all the food groups: ruminants (e.g. beef and lamb), poultry, pork, and fish and shellfish, but beef is the base of my food pyramid. I prefer my beef steaks rare, but other cuts I treat individually. To my taste, short ribs are divine roasted for several hours, but ground chuck is best raw or lightly seared. 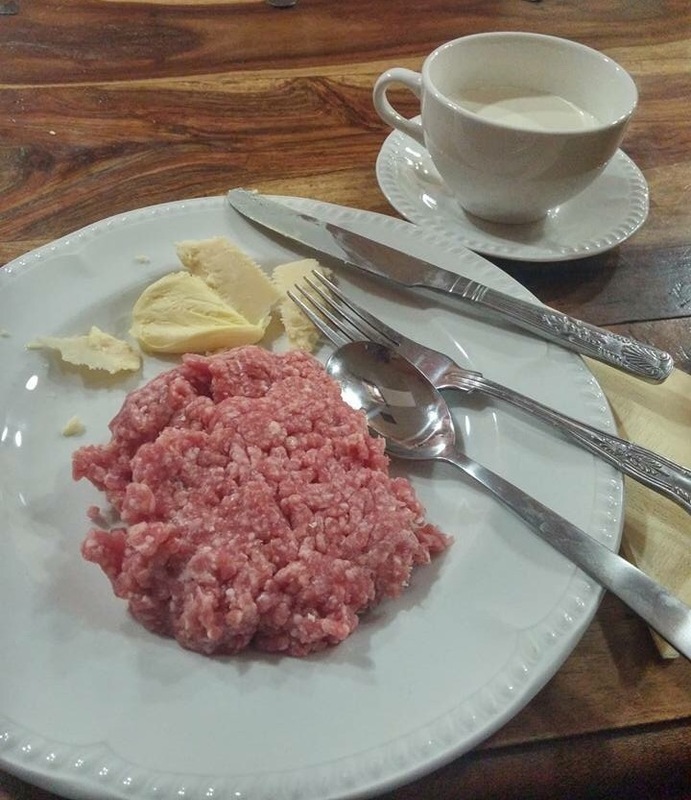 I often eat butter, lard, or tallow either on or with my meat, depending on how lean it is. I have played around with fasting, but my usual mode of operation is to eat once or twice a day when I get hungry, until I feel satiated. Then I stop. Of organ meats, I mostly eat liver, only because that’s what I have easiest access to. I tend to get a craving for it every few weeks. I’ll eat a lot of it for a few days and then I don’t want it again for a while. I’m not very systematic about it. I like bone broth. Just like with the organs I tend to drink it in phases; every day for a few days and then not again for a few weeks. 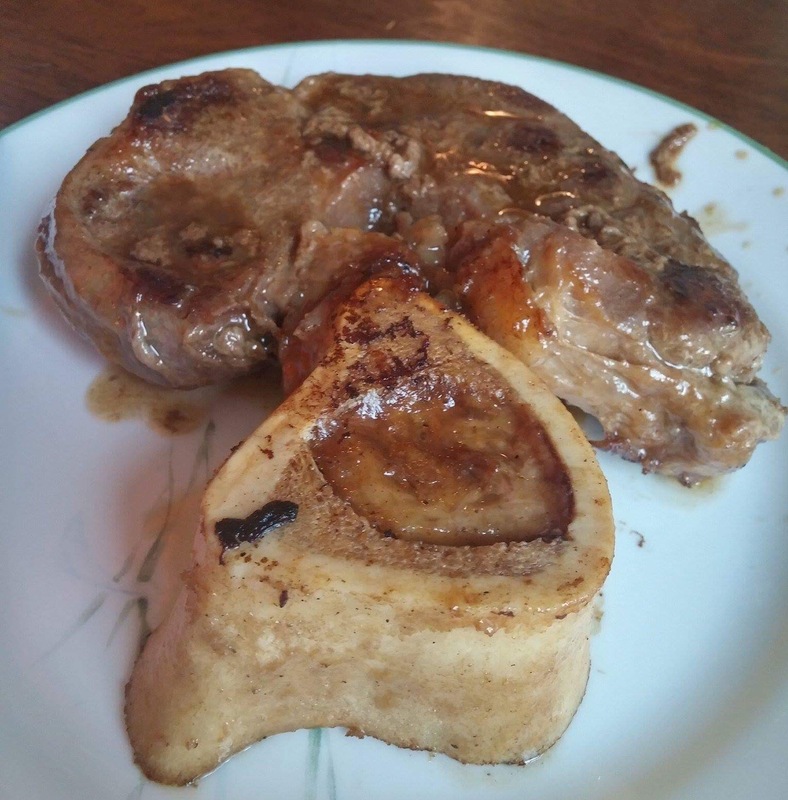 I enjoy bone marrow also. I mostly eat two meals a day, at lunch time and again at supper. I often feel better if my first meal is a little later than traditional lunch, but lunch is a social activity at my workplace, and it’s a trade-off. I eat about 1.5 to 2 pounds of meat a day. I want to support sustainable and humane farming, but the health benefits I’ve received don’t depend on it, so I often eat conventional meat for financial reasons. I do drink coffee and occasionally herbal tea. It’s my plant vice. Amber enjoying cold leftovers for lunch. I do sometimes use salt, but during my transition to this diet I used none, and so I’m acclimated to the taste of meat without it, and find I often don’t want it. When I’m out, or a guest, I will usually not refuse meat that has up to a moderate amount of spice, but I almost never use it in my own cooking. I have played around with a variety of supplements, but the only ones I take with any consistency are: turmeric and citrus bioflavonoids, to reduce symptoms of endometriosis; and magnesium, just because I think our whole food chain is deficient in it. This is difficult to estimate, because I have children with me part time. Overall, the cost is certainly higher than if I ate grains, but fruits and vegetables are expensive by calorie. I’m probably spending less than I used to. 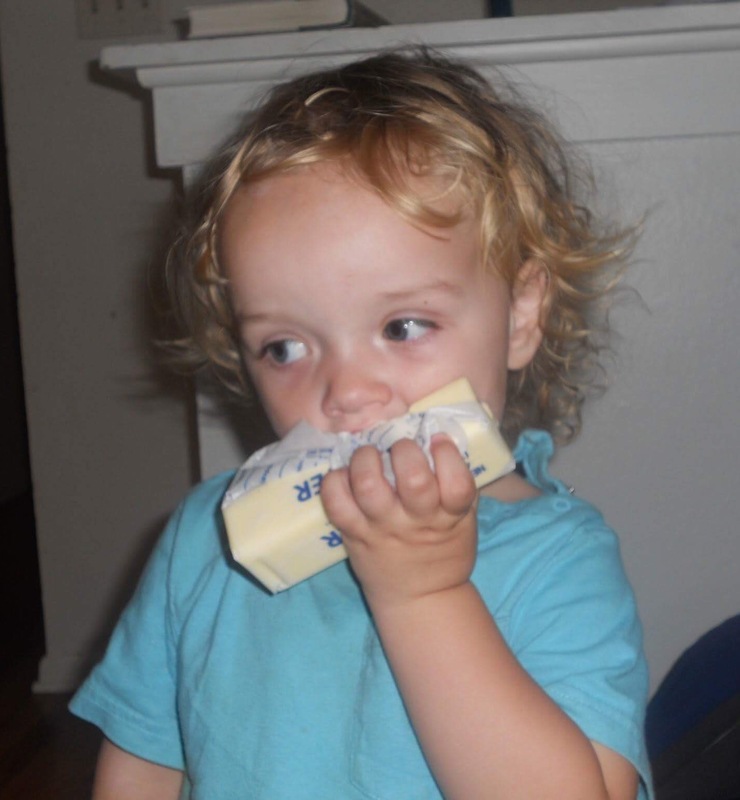 Amber’s son enjoying a stick of butter by itself. Buying cheaper cuts and mixing in pork, poultry, and eggs helps keep cost down. Don’t forget that ill health is a major expense. I’ve never missed work due to illness and have seen my doctor only for labs and preventive care. I do a slow-burn style weight-lifting once a week, and walk, run or bike now and then if I feel like it. 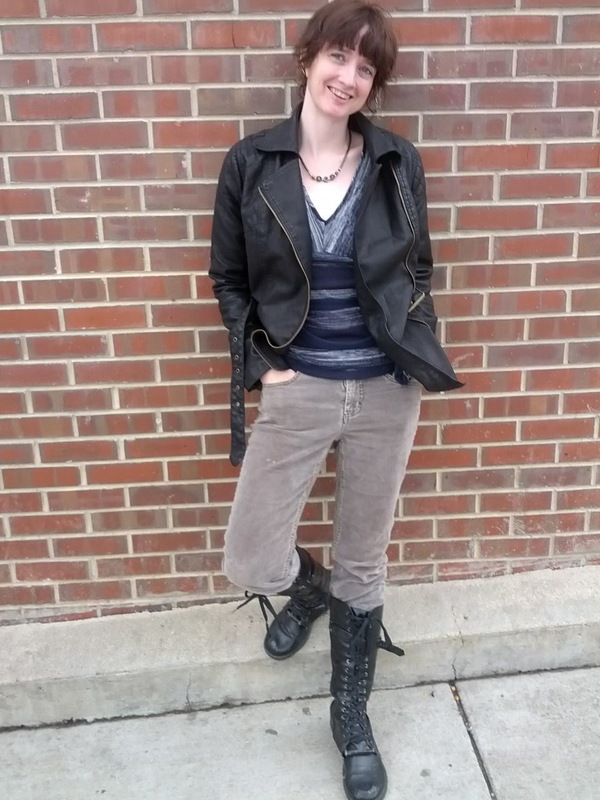 I lost over 60 pounds eating this way, but the most important benefit was that my Type II Bipolar Disorder, which mainly manifested as severe suicidal depression, is in complete remission. I’ve been off all psychiatric drugs since I started eating a carnivorous diet, and the only times I’ve had symptoms are when I have done experiments with plant foods, supplements, or had excessive alcohol consumption. 23. Have you conceived, given birth, or breastfed while on a Zero Carb diet? If so, what was your experience? 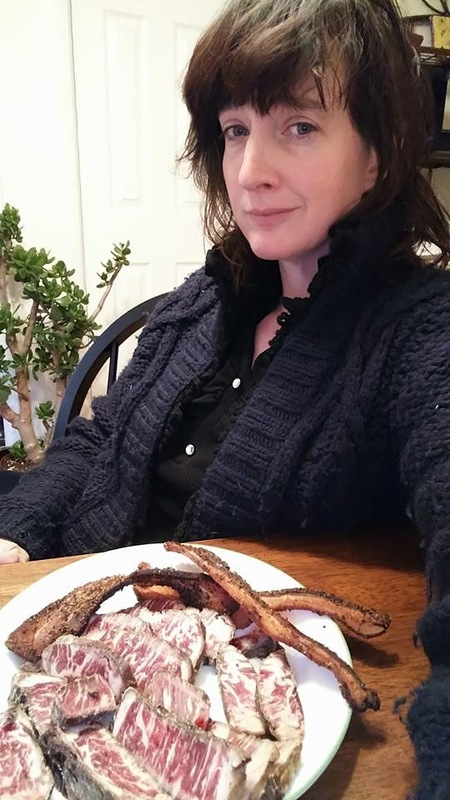 My third child was conceived when I started this diet the first time, and I didn’t stay Zero Carb during the first two trimesters, due to severe nausea and carb cravings. By the third trimester I ate very low carb with some carnivorous days. I’ve been essentially plant free since the birth, so that included his entire breastfeeding period. I had better milk supply and better mood and stamina than with the previous two children. 24. 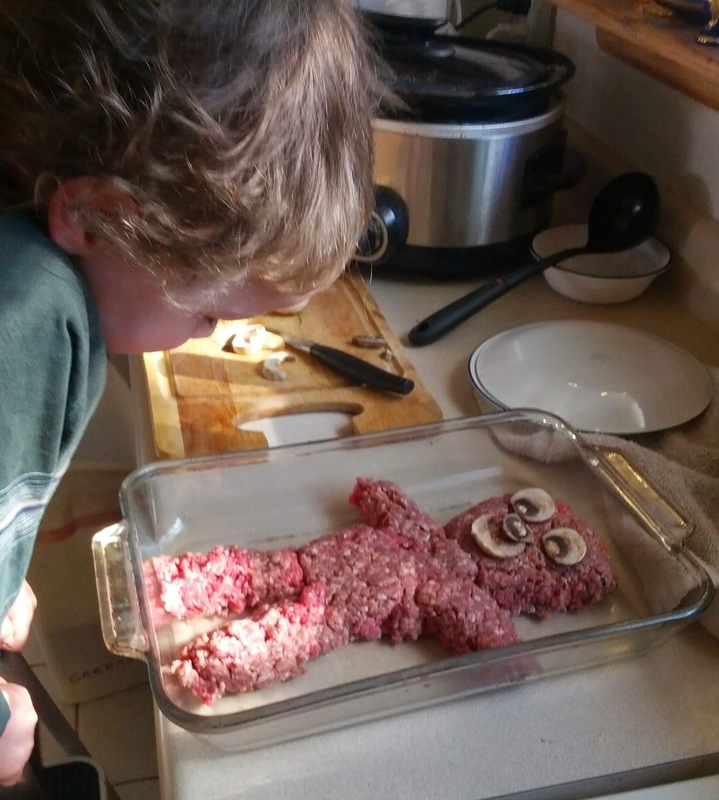 Have you raised children on a Zero Carb diet? If so, what has been their experience? How difficult is it to keep carbs out of their diet in today’s world? My youngest child ate almost no plants for the first few years of his life. Now he has just few plants in his diet, mainly carrots and bell peppers. The others have eaten lower carb and even zero carb in the past, but eat high carb out in the world. It is a difficult social navigation for them, even though they understand the benefits. 25. What do you enjoy most about eating a Zero Carb diet? It’s hard to think of anything better about carnivorous eating than the freedom from living with Type II Bipolar Disorder and suicidal depression. However, one thing I love about my diet is that I trust my appetite completely now. My body stays in a range of about five pounds no matter what I do. That’s freeing. I also love that I’m especially resistant to disease now. I never worry about the latest viruses going around. I feel robust. 26. Do you have any advice for someone who is just beginning a Zero Carb diet? My advice to a beginner is to commit to going into it as completely as possible for at least three weeks. You want to eliminate as many confounding factors as possible and stay at it long enough to start seeing changes. Please see my and Zooko’s blog post “Eat Meat. Not Too Little. Mostly Fat.” for our full advice on starting. 27. Is there anything you would like share about this way of eating that I have not already asked you? Please visit my “Interviews” and “Testimonials” pages linked at the top of this website to read the stories of other short and long term Zero Carb veterans. 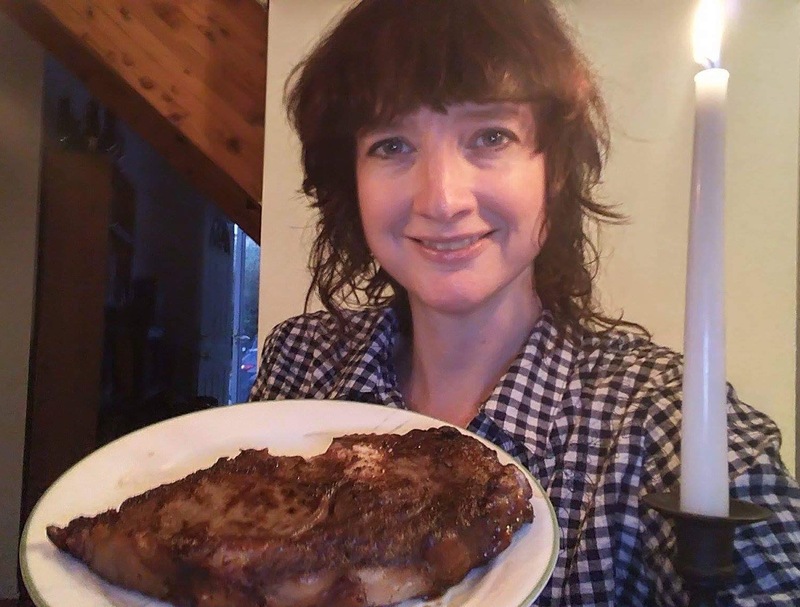 If you are interested in meeting others who practice an All-Meat diet, please feel free to join us in the Facebook group “Principia Carnivora” for support. This entry was posted in Interviews and tagged All Meat Diet, Beef, Bipolar, Bipolar Disorder, Carnivore, Carnivorous Diet, Carnivory, Depression, Diet, Disease, Fat, Health, High Fat, Illness, Keto, Keto-Adapted, Ketogenic Diet, Ketosis, LCHF, Low Carb, Meat, Mental Illness, Nutritional Ketosis, Obesity, Owsley Stanley, Paleo, Paleolithic, Primal, Psychiatric Disorders, Psychiatric Illness, Suicidal, Suicide, Type 2, Type II, Weight Loss, Zero Carb by esmeelafleur. Bookmark the permalink. Thanks for sharing Amber’s fantastic success story. how wonderful to have Amber’s interview, terrific!!! Especially because of the emphasis on the psychological improvements that ZC brings, and that are often not recognized! Thanks, both of you! Did you notice a change in your complexion at all? Worse, better, etc.? Thanks for sharing. I suppose everyone has a different appetite for variety. @amber, has your acuity of taste perception changed at all since switching to meat-only? Are you able to discern more subtle differences between meat flavors, textures etc than you could before? Have you had any desire to eat less common meats like ostrich, bison, alligator etc? I would really like to be able to reply directly to Amber (or through this site) as I believe I have some answers from my own experience as to why some of us cannot tolerate even “Keto” plant products. We do not Twitter, Tweet, Facebook, etc., and are going through much with security issues; but after hearing Amber, Mikhaila, (not Shawn Baker, yet), and others about CarnivoreDiet, I believe I have some answers I have never heard from even the staunchest anti-wheat, anti-vegan, Keto (which we’ve been doing for a few months, now) etc. supporters. I would like to get the info out there for more people to research, but not to have it come directly from me. Thanks. Perhaps she will see your comment here.